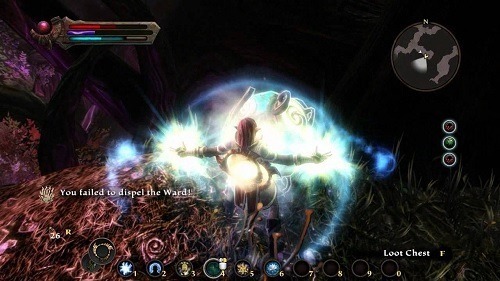 Kingdoms of Amalur: Reckoning offers similar gameplay to the Elder Scrolls series but also incorporates a number of combat quick events that players will recognise from the popular God of War series. The game is a single player focused action RPG released in 2012 that is available on multiple platforms (Windows, Xbox 360 and PS3). Kingdoms of Amalur: Reckoning offers a good amount of game customisation with 4 unique races for the player to choose from. Like other games in the genre these races have different lore and bonuses, so deciding the path your character will take early on is a good decision. While only 4 races are playable in the game there are a number of other races that players will encounter during their playthrough. Customisation continues through skill trees and abilities that offer plenty of character skill customisation to suit your preferred playstyle. The final step towards creating your character is the destiny system, these destinies are unlocked as you complete quests and invest certain ability points and provide passive benefits. Combat in Kingdoms of Amalur: Reckoning is very fluent and fast paced which is no doubt an important part of any action RPG. The combat system emphasises the careful timing of attacks but as previously mentioned does sneak in the occasional quick time event. As you slowly rack up kills you will also build up your fate meter which allows players to enter a slow motion mode or perform a devastating attack on a single enemy (Reckoning Mode). Combat is definitely the some of the best in the genre and Kingdoms of Amalur: Reckoning is one of the few games where you won’t get sick of it by the end. 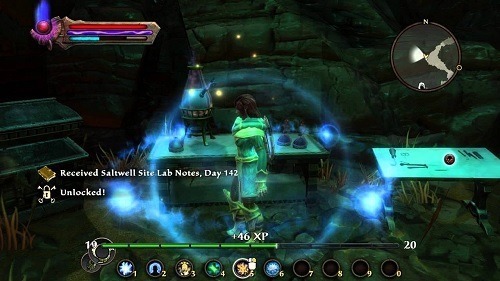 Kingdoms of Amalur: Reckoning also offers crafting through blacksmithing (create/repair weapons and armour), alchemy (potions) and sagecraft (craft and socket gems). Kingdoms of Amalur: Reckoning strikes a good balance between relying on reaction in combat skill and strategic choices that makes the game accessible to fans of hack and slash or people after a more RPG heavy experience. Good character customisation options to explore. Wide number of unique skills to use. Large game world with great visual appeal. After reading this you might be wondering “Why haven’t I heard about this game if it’s so great?”. The answer is in it’s release date, it came out just a few months after Skyrim and its demo wasn’t impressive enough to pull people(myself included) from that game. The result was no word of mouth, poor sales and in the end the collapse of the dev studio that created the game. In retrospect this game however is a lot better than Skyrim, the proof being I finally bought it on some sale a few years ago and am still playing it. Skyrim disappointed with sheer amount of bugs and it finally threw me off with a game breaking one (I couldn’t access a whole region of the map due to the game crashing) which hasn’t been fixed after 4 years after release. Kingdoms of Amalur surprises with how big and detailed it is, even the DLCs are extremely fun and really worth playing. I strongly advise anyone to get the game as it’s cheap as dirt and often goes on sale.